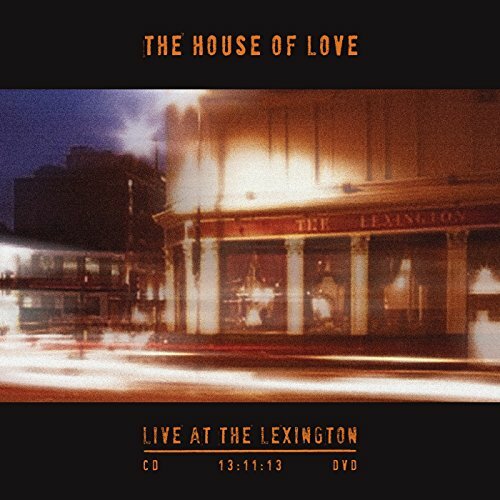 Cherry Red re-issued The House of Love’s debut album in 2012 as a 3CD edition which included, as the new Super-Deluxe edition does, the original album from 1988, all the singles, some demos and live tracks taken from the Black Sessions they did for French radio. The latter included a superlative version of ‘Love in a Car’ featuring the piercing chime of Terry Bickers’ guitar, emblematic of his distinctive guitar work. Such as Johnny Marr to The Smiths for instance. The new 5 cd version (there is also a double vinyl) extends upon the 2012 release with further demos, alternate versions and excerpts from live concerts in Europe premiering the material written around that time. The new live material is essential for fans, and let’s face it, this is a fan’s edition, however, the audio quality on the new material is a bit variable. The French radio tracks (with better audio) I mentioned before, appear again. The version of ‘I Wanna Be Your Dog’ is brilliant, with uncharacteristically rough and loose vocals from Chadwick alongside the characteristic shards of ringing guitar. Trademark Bickers.. Of the new live tracks, the longer intro on ‘Shine On’ is faster, more urgent, with upfront bass, and Bickers playing the melody more metronomically as if accentuating the notes. More rock than Madchester you might say. The live version of Man to Child has a more blues feel, almost a ballad, the trilling melody played with purpose. This version meanders less than the studio version. Of the demo versions, there is an early mix of ‘Shine On’ without the chorus ‘she, she, she, shines on’. The guitar instead plays the melody, and I must say, I prefer this version. It sounds fresher, even if I can understand the need to bring the sing-along to the single release. The demo of ‘Touch Me’ sounds better for being low-fi, and gains congruence for being more shoegaze in sound. Also, on the embryonic version of ‘Real Animal’ the guitar work seems more aligned to the C86 sound. A bit of a 1960s workout with the jangly guitar really lifting the spirits. Not a better version but certainly a contrasting and informative one. On the downside, the early mix of ‘Road’ really sounds gestational, and the wholly bass version of ‘Destroy the Heart’ seems pointless. Likewise, the resigned and somehow less nostalgic demo of ‘Beatles and Stones’ seems to drain the song of meaning. The C86 sound, which was built around the sounds of bands from the late 60s like the Velvet Underground and Love, interbred with the CBGB style of post-punk rock, was giving way, at the time House of Love was forming, to the solar flare intensity of bands like Jesus and Mary Chain. Full of noise and reverberation, dense and emotionally disconnected. So, the debut album of The House of Love really intersected with the changes, and by the time of its release, the transition to the newer and less retro sounds of 1988 was complete. This is what the Super Deluxe version with its experiments, false starts, fascinating juxtapositions, and gestational change really illustrates. The rest as I say is history well told.